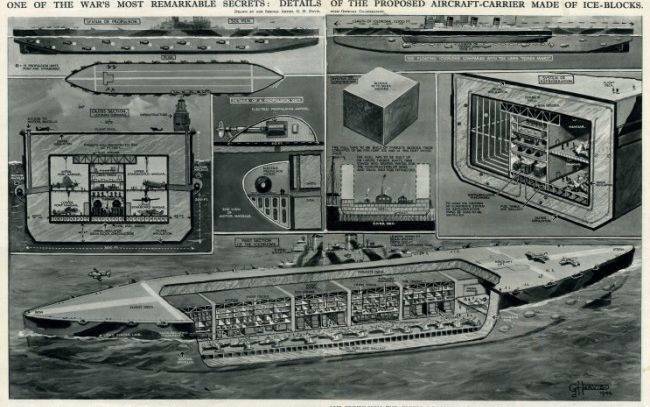 Project Habakkuk was an ill-fated projected designed to harness natural resources into weapons of war. It did not go well. In 1942, British ships were facing major threats from German U-Boats. Supplies were scarce, and German submarines were taking down British supply ships, preventing them from reaching their final destinations. British planes provided effective cover for the supply ships, but were limited in how far they could travel over open ocean without needing to land and refuel. Seaborne aircraft carriers were needed to provide planes a place to land, but building traditional aircraft carriers required large amounts of resources, especially steel, which were already in short supply. 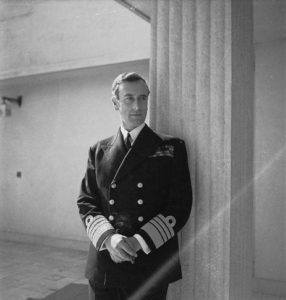 Geoffrey Pyke was a British inventor, at that time working at the Combined Operations Headquarters under Lord Louis Mountbatten. He had first been assigned to work on Project Plough, which aimed to create an elite fighting force capable of doing battle in harsh winter conditions of snow and ice. With glacial conditions already on his mind, Pyke turned his mind to the problem of seaborne landing. He consulted Max Perutz, an Austrian-born biologist who had previously worked studying glaciers, and together, they devised a plan to create aircraft carriers that would not tax Britain’s already strained resources. 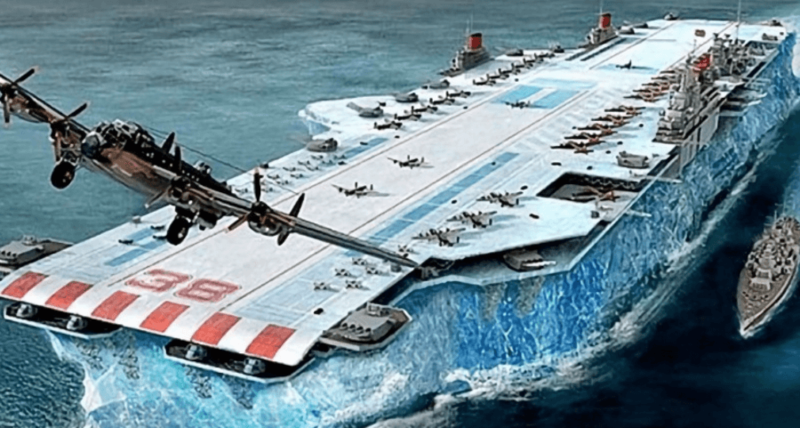 Pyke theorized that aircraft carriers could be made of hollowed-out icebergs, which would be durable, buoyant, easy to produce without a lot of resources, and easily repairable if damaged by the enemy. At first, Project Habakkuk seemed like a lost cause. While ice was strong, it was also too brittle to hold up its own weight and easily lost shape under pressure. Ice also melts, which required Pyke to develop a complex cooling system that continuously pumped refrigerant throughout the carrier to keep it frozen. However, Pyke then discovered pykrete, a mixture of wood pulp and ice, which was stronger and more malleable than ice. The wood pulp created an insulating shell around the exterior of the material that was found to be resilient to bullets and artillery shelling. With this new discovery, they decided to build a pykrete prototype in Patricia Lake, Alberta to test the effectiveness on a large scale model. However, even with the new pykrete discovery, the plan still faced large problems. The prototype required a constant refrigeration system to keep cool. If the temperature of the shop dropped below three degrees Fahrenheit, it would start to sag and lose shape. Although the pykrete mixture made the prototype stronger than ice, it also required much more insulation. Steel would still have been needed to insulate the carrier, which would have drained more resources and made it still more expensive, while the increased size would have made it slow and difficult to maneuver. Wood was also in short supply during the war, and building a pykrete aircraft carrier would have negatively impacted paper production. As good as it might have sounded on paper, the prototype proved it was too impractical to implement, and Pyke and his team were eventually forced to abandon the idea. The British turned their attention to more practical projects, and the remains of the prototype, and an underwater plaque, still lie under the bottom of Patricia Lake. Along with the hope of Project Habakkuk. Next, read about the Axis plan to invade the United States. Then see 24 photos of stunning icebergs.